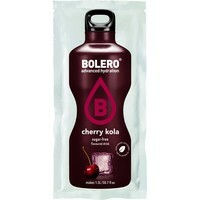 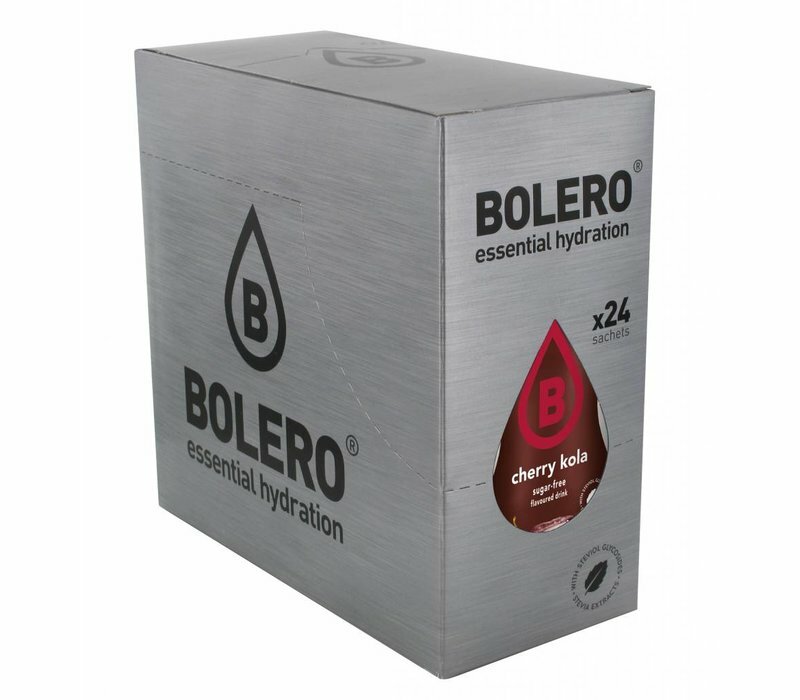 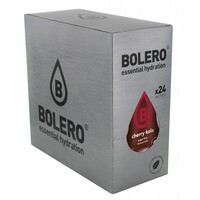 BOLERO Cherry Kola Classic Kola refreshment with the taste of sweet cherries. 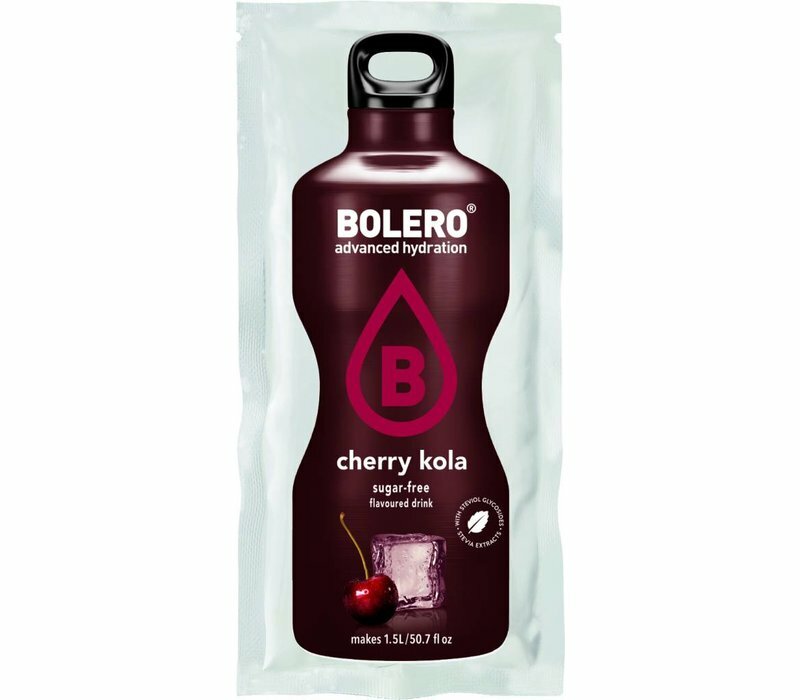 INSTANT CHERRY KOLA FLAVOURED DRINK WITH SWEETENERS. 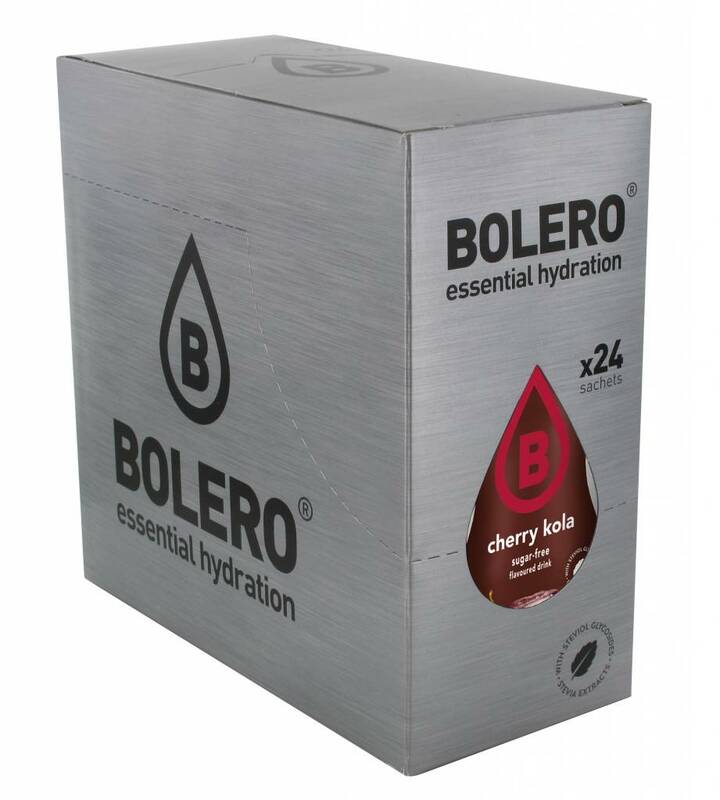 INGREDIENTS: ACIDS: CITRIC ACID, MALIC ACID; BULKING AGENT: MALTODEXTRINE; FLAVOURINGS; NATURAL FLAVOURINGS; SWEETENERS: ACESULFAME K, SUCRALOSE, STEVIOL GLYCOSIDES (STEVIA EXTRACTS); ACIDITY REGULATOR: TRISODIUM CITRATE; ANTI-CAKING AGENT: TRICALCIUM PHOSPHATE; THICKENERS: GUAR GUM, GUM ACACIA; L-ASCORBIC ACID (VITAMIN C); COLOUR: CARAMEL.